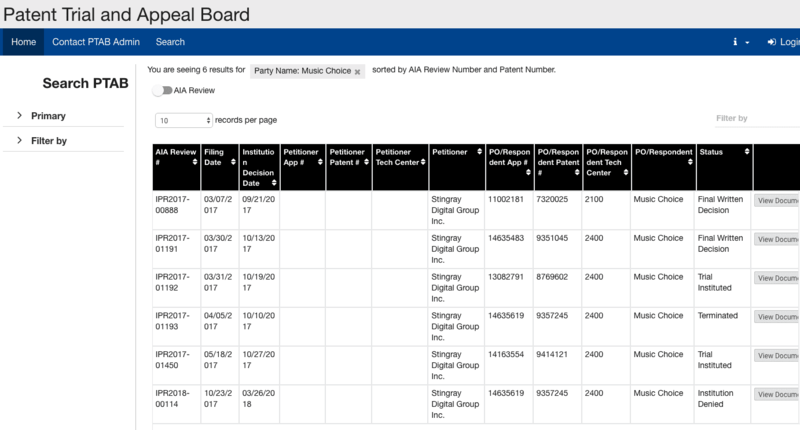 Late September and early October total of two judgments have been filed thus far by the Patent Trial and Appeal Board (PTAB) in the case against Music Choice’s patent. As indicated in the rulings for IPR2017-00888 and IPR2017-01191, partial axing fo the patents have been granted to Stingray or against Music Choice’s interest. Interesting findings that enforce the value of our cloud to cable TV patents. This goes in accordance to the prediction made by myself back when this issue was discussed initially, specially in the article where I analyzed the acquisition of Music Choice by Stingray digital. As expected Music Choice should be more interested not so much on the “Video on Demand” revenues which is what these two patents cover, but more so in the patent covering the method and system for broadcasting to Cable TV which is the main source of revenues for both companies. The patent in dispute will be resolved this Friday October 19th, 2018, and the patent 8,769,062 as well as the original applications from 2001-08-28 which is claimed as priority date. It is my opinion that a similar outcome may result from the PTAB panel. What this means is that somehow per year $32M/year o revenues were eroded from Music Choice’s pie, or since 2014 when the lawsuit was said to have had some issues with Stingray, then the total loss could be $32×4=$120M on damages. Which, it seems to have been the offering made by Stingray digital to Music Choice for a full acquisition. The question is, what would be the forward revenues would be for a Georgia-Pacific model that a damages expert would have done for pricing moving forward and how Stingray Digital would have to pay for any future earnings to Music Choice. The information collected indices a 35% tax by Stingray on royalties and potentially another 20-30% which in turn would make operations in the United States at no profit or even at a loss. It is very hard to compute a damages calculation, assuming that infringement takes place in the surviving claims of the patents in dispute. Hence, if damages were to be computed should be in the range of 8-9 digits with upside to the future, not including potential treble damages which could account for more money to be paid. 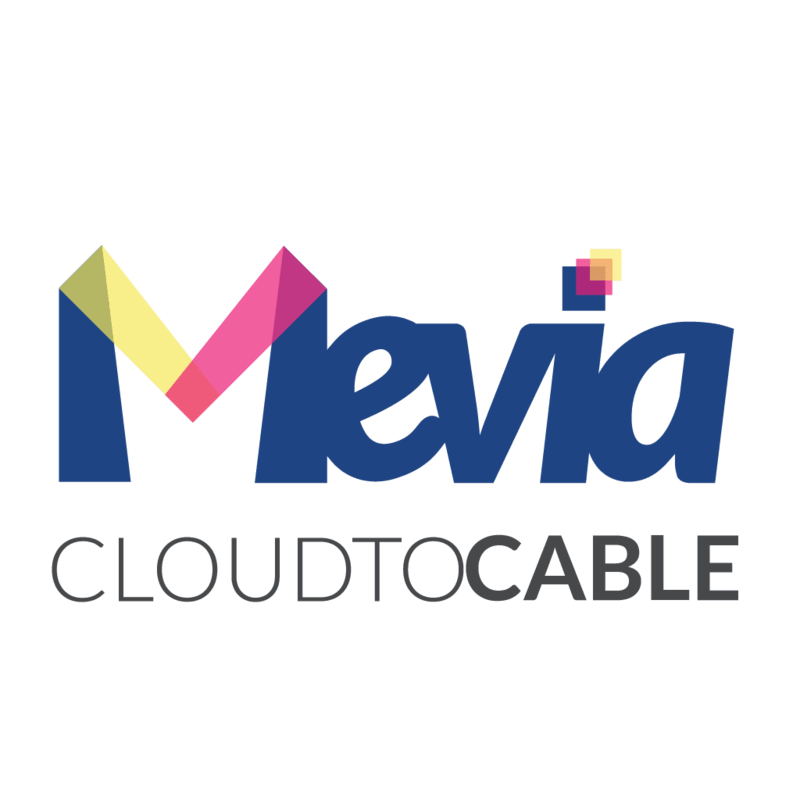 Alternatively, Cloud to Cable TV is the best technological platform for monetization with Cable TV and works using the most recent advancements in Cloud computing, Web technologies, and in combination with standard DVB Systems. A unified patented technology for Cable TV distribution!